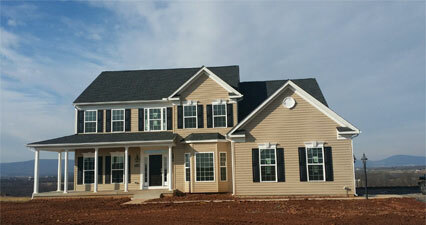 Running Creek Heights offers 10 home sites ranging from 1 to 9 acres with custom homes starting in the $390's. The home sites have a peaceful setting with beautiful mountain views, rolling pastoral landscape and only minutes from downtown Middletown in Frederick County Maryland. There is no HOA and your horses are welcome on lots 3 acres and larger. Some of the BEST home sites have just been released! Be among the first to tag your lot and let Insignia get started building your new home! There's still time to have your custom home built from scratch, just the way you want it. Many different house types, floor plans and options available. Call now for more information! Alt 40 W to Middletown, Left on Rt 17/Burkittsville Rd. Drive approx. 3.5 miles to the 1 acre lots on the right. Proceed to left on Picnic Woods Rd to entrance on the left to see lots ranging from 4 to 9 acres.